The Server name field is the name or IP address of the Hyper-V host and not the VM. The reason for the error appears to be that the Credential Security Service Provider (CredSSP) policy on the Hyper-V host is not enabled to authenticate user credentials from a remote location. Setting the following registry keys fixed part of the problem for me. #indirect, special, incidental or consequential. One other thing that I had to do in order to get this to work was to add my account into the local Hyper-V Administrators group on my Hyper-V host (even though my account was already a local administrator). 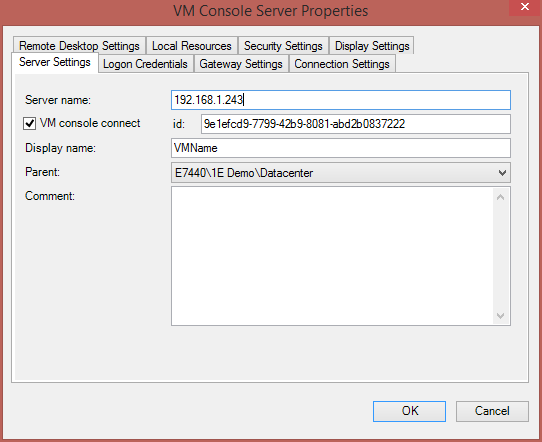 Now when you connect to a VM and you are prompted for credentials, use your credentials for the Hyper-V host for the initial prompt. These credentials can also be saved on the RDCMan Server Properties under the Logon Credentials tab. Once connected, that will bring you to the logon screen of the VM where the credentials for the VM are entered. Thanks Man, your Registry Keys are the only ones that actually resolve this problem. Hi Alessandro, I am glad it worked for you. Thanks for your kind words! I am getting the 3848 error as you describe but the solutions you suggested doesn’t seem to work. Do you have any other suggestions? Thanks Mike, you are a legend! I am now able to connect to my local VM’s in one place. Thanks a lot. Work perfectly on my desktop for my labs. Thanks for this – work perfectly for me. could you please tell me what is the reason for this. Quick question : the registry entries are required on the client or on the server side ?